Locals from the Bolivian Andean region of Malku Khota have kidnapped two engineers working for a subsidiary of Canadian South American Silver (TSX:SAC), and are demanding the immediate release of their leader Cancio Rojas. Residents of the Malku Khota village (image), located 350 kilometres south of capital La Paz and close to the borders with Argentina and Chile, took the engineers, Fernando Fernández and Agustín Cárdenas, who work for Compañía Minera Malku Khota hostage on Thursday reports EFE. Malku Khota Mining, South American Silver's subsidiary, said in a statement to the press that its employees are facing "serious risks,” as those groups are known for their hostility and fanaticism. The company asked authorities to intervene for the early release of the hostages and act “with the full rigor of the law to punish the perpetrators of [the crime].” It added that intimidating executives might cause miners to withdraw from Bolivia, shattering the country’s dream of improving current poverty rates. One faction of the indigenous people living in the area have been trying to force the mining company out of Bolivia, as they see the company's operations as an obstacle to their own efforts to mine gold. Compañia Minera Malku Khota, which is evaluating the zone's potential for silver production, says a majority of the indigenous people – known as Ayllus – in the area support the firm's project. However, the company's opponents, led by Rojas, have attacked residents and police, reports EFE. South American Silver has invested more than $50 million in the mine project since 2007. Malku Khota is one of the world's largest unexploited resources of silver and indium, a rare metal used in flat-screen LCD televisions. 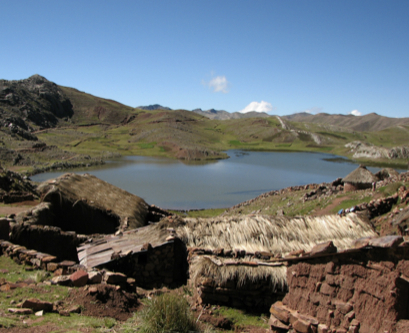 Though rich in mineral and energy resources, data from the Unicef shows that Bolivia is one of the poorest countries in Latin America and the weakest economy in all of South America. Bolivia is a current hot spot for investors as President Evo Morales has been in consultation with local leaders to allow the extraction of resources originally thought to be untouchable.